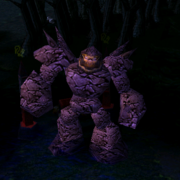 This is a port of RGB's AI+ 1.52 (originally written for DotA Allstars 6.48b). Warning: There is no AI for Lifestealer, Invoker, Clockwerk Goblin, Admiral Proudmoore nor Windrunner. They will get items but will neither use nor learn their skills. * AI don't properly react to -nb, -nm and -nt modes. * Some exploits that should have been fixed are still in the game, just don't use them. If you really want to cheat against AI, just use -test. Additionally, I have added two Fun Taverns in the lower right corner.